I have been intentionally reading a number of Christian biographies over the past year or two. Christian biographies for me are about spiritual formation. I do want to know about the people I am reading about. The story is important. But I read good Christian biography/memoir to learn about spiritual formation. Becoming Dallas Willard is exactly that type of biography. 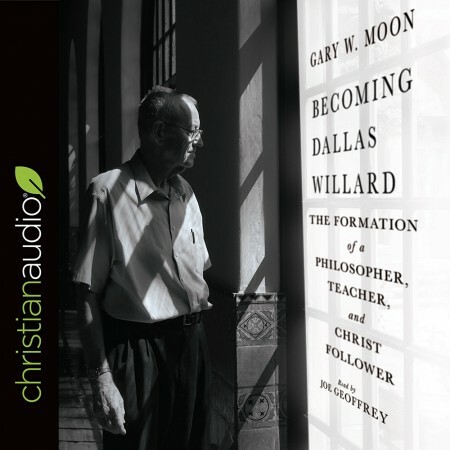 Dallas Willard helped to spark the modern Christian formation movement so it is not surprising that Gary Moon wrote a biography that was oriented toward tracing his spiritual formation. We are never finished with spiritual formation. Spiritual formation in some ways becomes more important as we age and mature spiritually because ending well and passing on the faith requires a level of humility and graciousness that invites those that are younger to the path of spiritual formation. I have previously read three books by Dallas Willard. So I was roughly familiar with Willard’s writing but I did not know anything about his life other than his relationship to Richard Foster early in Foster’s pastoral career. Investing in others was a theme of Becoming Dallas Willard. I know Willard more through his intentional investment Richard Foster, John Ortberg, Jan Johnson, James Bryan Smith and others than I knew of him. Having read Becoming Dallas Willard I can see the influence that he had in the writings of these others that I have been more directly influenced by. Willard had a fascinating life. The lives of earlier generations are often fascinating because they are so different from our own. Willard was a child of the late depression and early World War II days, roughly the age of my younger set of grandparents. He went to Tennessee Temple for his undergrad degree, where my grandmother’s brother was a long time professor. And I know many that went to either Baylor (his masters) or University of Wisconsin (his PhD in Philosophy), but no one that went to both. Despite the differences in generations and life experience, Willard’s life was not so different that I can’t relate to him. As a 40 something work at home parent, I find Willard’s story encouraging. It is not that he was a late bloomer. He was not. He was director of the Philosophy Department at USC in his late 40s. But in his early 50s, the work he had done in different areas, his professional work in philosophy, bible teaching in his local church and community, and his own spiritual development started coming together in a new way. It was then that he started becoming a popular author in the area of Christian formation. After having encouraged Richard Foster and his first book Celebration of Discipline, Foster gave away tapes of Willard’s bible teaching and encouraged publishers to seek out Willard. Willard was not seeking to be published by Christian press, but his faithfulness in small corners of the church led to his teaching spreading. Through Richard Foster, and his student James Bryan Smith, Willard’s teachings have spread widely, even though many may not actually know the name of Dallas Willard. Becoming Dallas Willard does not fall into the trap of hagiography (glossing over the negatives to present only the idealized saint) but presents a whole, but flawed person. We are all flawed and limited because we are human. Our biggest strengths are often our biggest weaknesses. Becoming Dallas Willard does do what I want from a good biography, it gives me a good picture of the whole person, but also makes me want to read more by and about them. I have picked up several more of Willard’s books and I will read them differently because I have read Becoming Dallas Willard.